Launched in January 2018, Ravenbreed are a Hard Rock band from Cardiff, South Wales UK. The four piece has influences ranging from Alice in Chains, Foo Fighters, Alter Bridge, Pantera, Motorhead Guns N Roses to name a few, which fuse to form a modern hard rock sound with melodic interludes, catch hooks, huge riffs, and powerful gruff vocals. Their three track debut EP 'Hollowed', release April 2018, was gracefully received by journalists and DJs, such as Adam Walton (BBC Radio Wales), Samantha Lloyds (Down the Front Media & DTFPodcast) and John Winser (Gigs N Trigs), along with impressive live reviews, mark Ravenbreed as a band to watch out for. 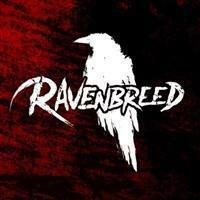 Ravenbreed having been cutting their teeth in the local music scene, along with performances at the end of year party in Tramshed for Cardiff University, headlining Meddwlfest in Swansea, and slots at Swansea Fringe Festival and Dollfest. As finalist to Hard Rock Hells 'Highway to Hell' competition, held at Sheffield's O2 Academy, the bands rapid progression saw them play to a packed out 600 cap venue, and go on to be features on Hard Rock Hell radio. Mikey Watkins on Guitar and backup vocals.